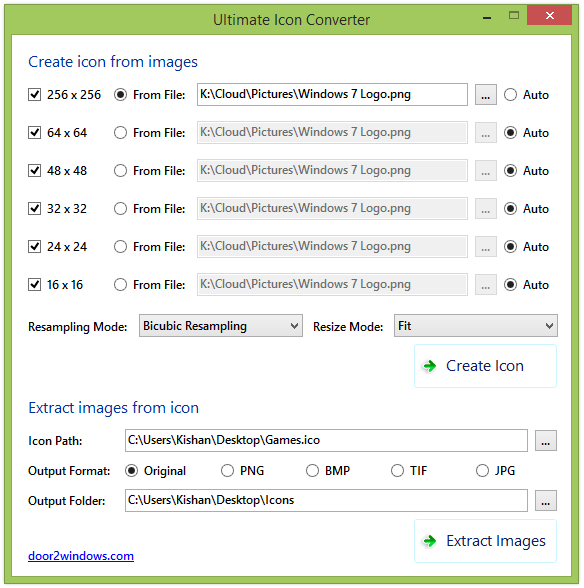 Ultimate Icon Converter is a portable freeware from door2windows which lets you easily create new icons (.ico) from images or extract images (.png, .bmp, .tif or .jpg) from existing icons. One icon can contain multiple images. The images can be of different sizes or different formats. Select an image (.png, .gif or .jpg) for the largest size (256x256) by clicking the … button and leave the rest of the sizes to Auto. The image you select doesn't need to be of 256x256, it will automatically be resized and converted to the required size and format. 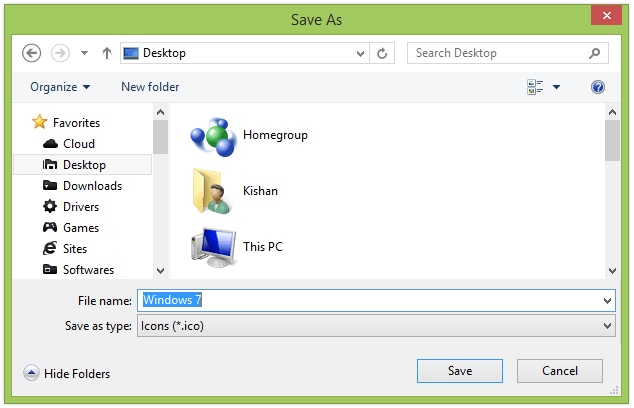 Select where you want to save the icon and click OK. Windows Explorer will open with the saved icon selected. Run the app again and you'll be able to see the new sizes. 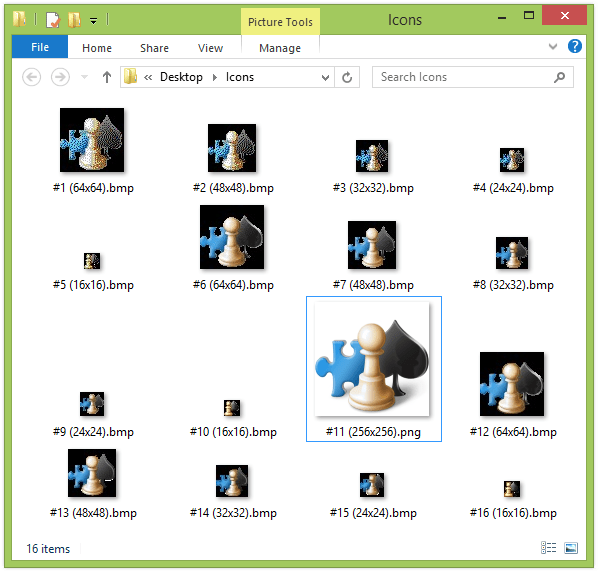 Click the … button after Icon Path and select the icon from which you want to extract the images. Select a different Output Format if you want to save the images in a different format. 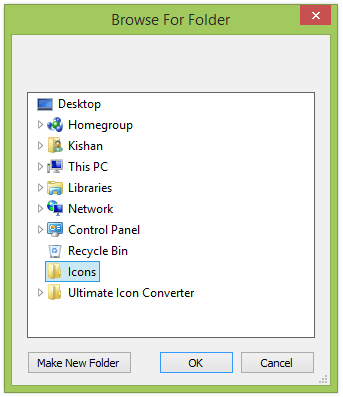 The Original option will save the images in the same format as they are stored in the icon. 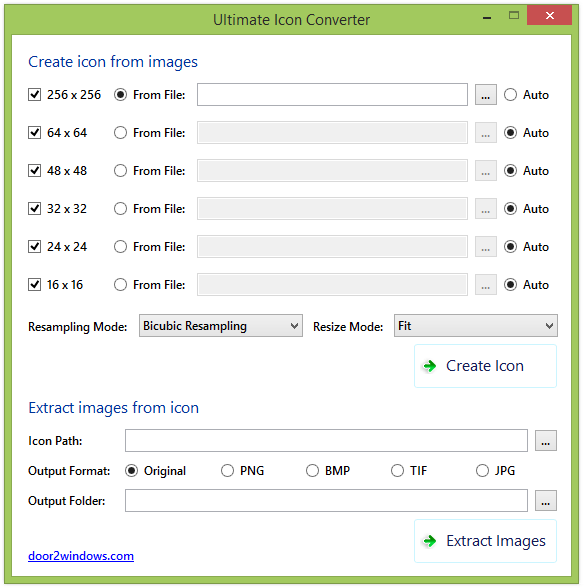 Images in an icon are usually stored in PNG format if they are larger than 255x255, otherwise they are stored in BMP format. The BMP images won't have a transparent background when you view them with any normal image viewer but they will retain transparency when displayed by Windows. Click the … button after Output Folder and select the folder where you want the extracted images to be saved. Click Extract Images. 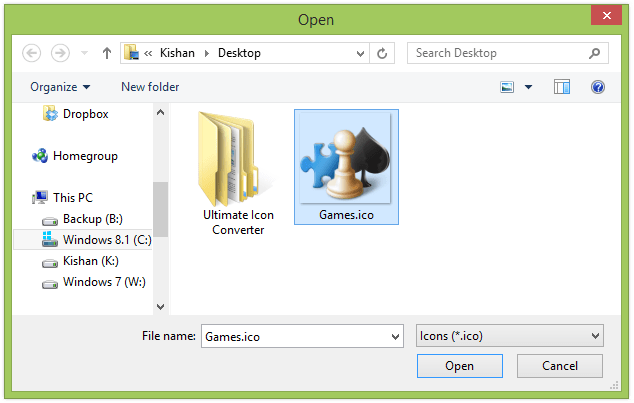 The folder will open where the extracted images have been saved.